Boys and Girls are invited to grab their favorite sidekick (mom, dad, grandma, grandpa, aunt or uncle) and spend a day at the Y. Join us for a scavenger hunt, an obstacle course, nerf wars, and homemade marshmallow shooters. All are encouraged to dress as their favorite superhero. There will be plenty of games, crafts and snacks to keep you going. Activities are geared to 4 year olds and older. Tickets are $15 per couple, $5 per additional Superhero. Please purchase tickets by Feb. 21st. Tickets are limited! 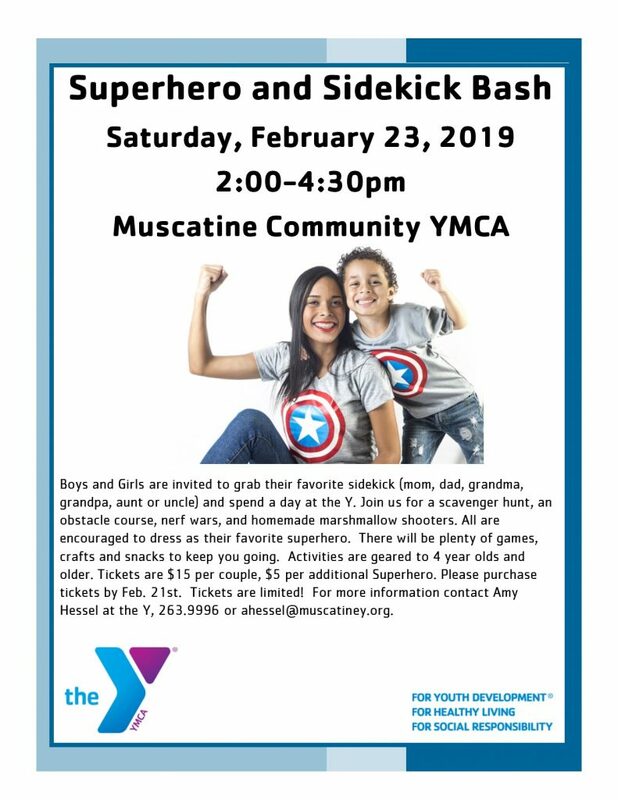 For more information contact Amy Hessel at the Y, 263.9996 or ahessel@muscatiney.org.